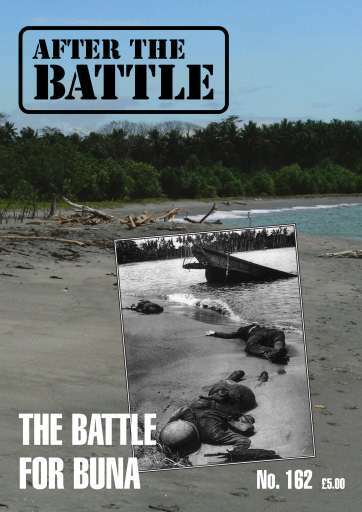 THE BATTLE FOR BUNA - An in-depth account of the Battle of Buna in New Guinea where a bitter battle was fought from November 1942 until January 1943 by a combined US-Australian force. Holleischen Concentration Camp - Carl Barwise tells the story of this satellite camp to Flossenburg in Czechoslovakia which grew to hold up to 1,000 inmates. Dornier Recovery - The story of the recent raising of a virtually intact Dornier from the English Channel that had been shot down in the Battle of Britain in August 1940 as told by Chris Goss. 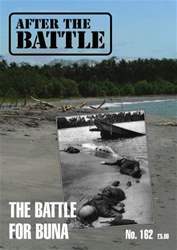 From the Editor - A round-up and update on previous stories from After the Battle.